Incense Burners, Candle Holders, etc. 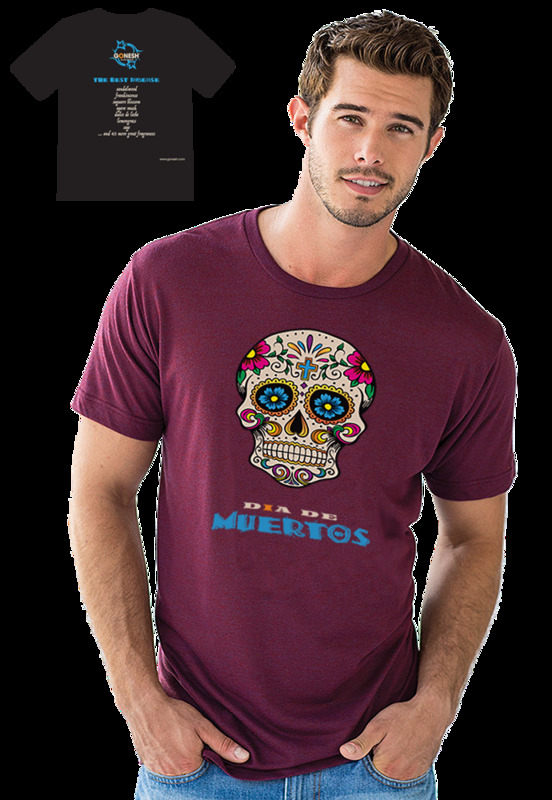 Celebrate your love for DIA DE MUERTOS with an exclusive GONESH T-Shirt. Available in Medium, Large, Extra Large and 2XL. Dia De Muertos, or day of the Dead is a celebration based on ancient customs honoring deceased loved ones. It is believed that the gates of heaven are opened and the souls of the departed are allowed to reunite with their earthly families for 24 hours on November 2. The spirits come to enjoy the festivities which are, for the most part, light-hearted with music, games and much laughter. Fabulous Fragrances are waiting for you to START SHOPPING!